The first two strikes this week come from Twitter user @john71105. John asked Tyler and Sam first to tackle the top prospect busts, excluding those who have been injured, during their individual Minor League tenures. Strike Two has a much happier tone with the co-hosts discussing which Major Leaguers have been pleasant surprises following low or non-existent prospect statuses in the Minors. Finally, Tyler and Sam quickly go through some of the big names that were added to 40-man rosters ahead of the Rule 5 eligibility deadline and what those moves mean for prospects. The Angels' No. 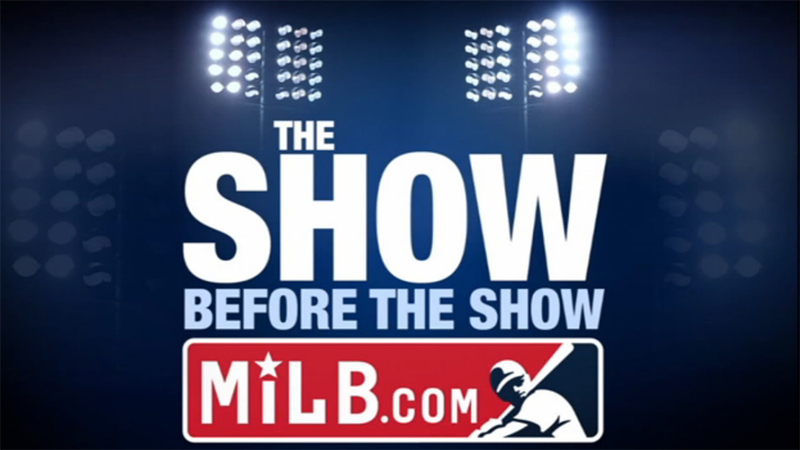 12 prospect calls into The Show Before the Show to talk about his recent addition to the 40-man roster, how he walked away from a college football scholarship when Los Angeles took him in the 28th round in 2013 and how he's grown over his five seasons in the Minors. MiLB.com's Benjamin Hill is back for his weekly podcast segment to discuss his blog post on the 13 parks he's visited that no longer have Minor League ties and his Batting Around column featuring the Mexican League's move to Laredo, Texas.